Adjustable stand holds iPad2, 3 and 4 tablets at heights between 38"-67". 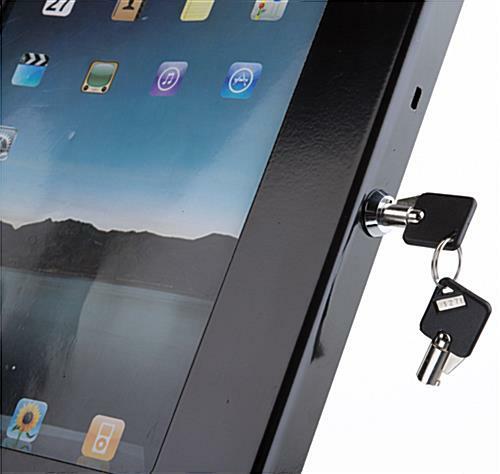 Keylock holder allows users to freely access Home functions, camera, ports and inputs. 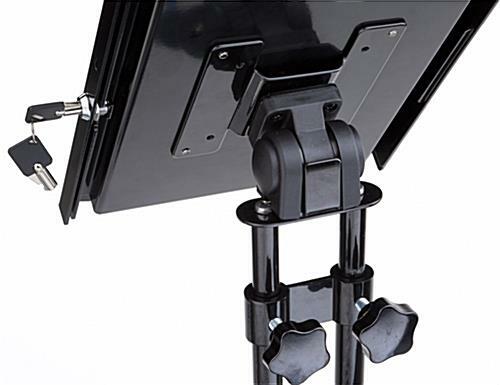 Modern 2-post construction and black finish will match any décor. 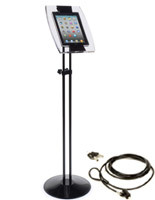 This iPad podium mount leaves the tablet Home button, camera, ports and inputs accessible in the pin-lock steel case. 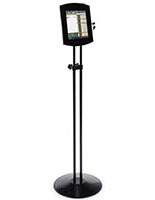 This adjustable height glossy black dual-post stand can be set to anywhere from 38" to 67" tall. 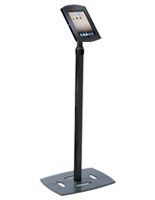 Each point of sale fixture, freestanding iPad podium mount secures tablets against damage, tampering or theft but allows users free access to functions and ports. 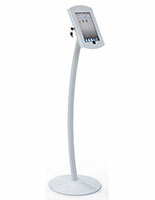 The user friendly stand allows devices to tilt 90° and rotate 360&°. 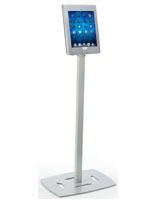 This versatile iPad podium mount , also known as a tablet floor stand, is ideal for use in professional, commercial, retail and hospitality/restaurant environments. 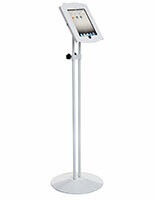 14.0" x 67.0" x 20.0"